Cataracts are known to be the primary reason behind visual impairment and blindness among aging people all over the world. In many developing countries, children are born with cataracts which can be easily treated with a simple procedure, but due to the lack of access to proper medical care, they are forced to live a life in darkness. Medical experts have claimed that if cataract progression can be delayed by a decade, then there would be at least a 45 percent decrease in the number of surgeries every year. And one way that could delay or prevent the onset of cataracts is through nutrition. 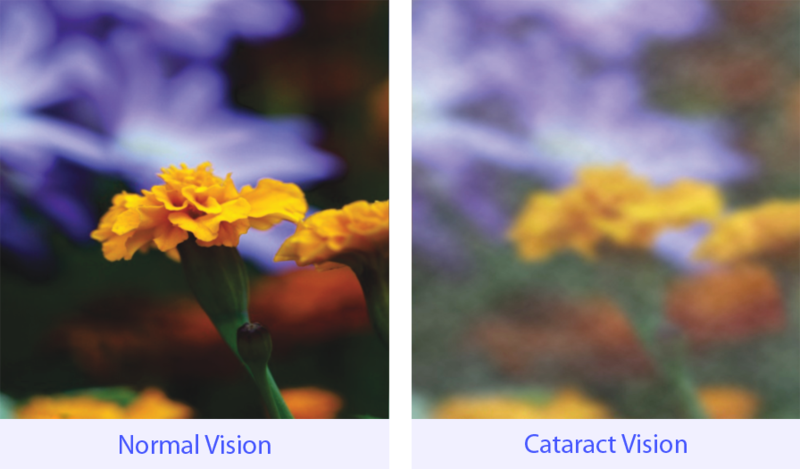 How does nutrition affect cataracts? Although there is no concrete evidence that nutrition can completely prevent cataracts, there are studies which have proved that eating the right kind of food and maintaining a healthy diet can help prevent the progression or onset of cataracts. Since aging is the primary factor for cataracts, the only sure way to prevent cataracts is to never grow old. But since that’s inevitable, the promising alternative is to make sure you consume healthy foods that are ideal for your body, especially the health of your eyes. According to research, foods that contain plenty of B vitamins and antioxidants are the best for healthy eyesight. Along with this, reducing the intake of foods rich in carbohydrates, sugar, and starch will also do you a lot of good. What foods should you focus on? As mentioned earlier, you need a diet rich in B vitamins and antioxidants to keep cataracts and other eye conditions at bay. Antioxidants neutralize what are known as free radicals. These cause the cells in our body to age faster. All fruits and vegetables are rich in antioxidants, so make sure you include plenty of these in your daily diet. Some examples are berries, artichokes, red kidney beans, prunes, apples, cherries, potatoes, bell peppers, broccoli, lettuce, brussels sprouts, spinach, kale, oranges, okra, watermelon, etc. Besides preventing cataracts, B vitamins also help overall eye health. They may not be antioxidants themselves, but they contribute to the production of certain antioxidant compounds. Most B vitamins are found in meats such as lamb, lean beef, and venison. You also find the nutrient in milk, yogurt, eggs, almonds, mushrooms, sunflower seeds, peanut butter, spinach, etc. These foods should help you maintain very good eye health and prevent the onset or progression of cataracts. Consults an eye specialist or dietician for more details on how you can lead a healthier lifestyle and avoid eye conditions in the future.